Back in the day when trying to learn a new instrument, you would usually have to seek out a teacher and attend classes. However with technology, lessons and teachers can come to you instead, so if you don’t have time to schedule regular classes, you can always choose to learn at your own pace. This is where the ONE Smart Piano and ONE Light Keyboard comes into play. 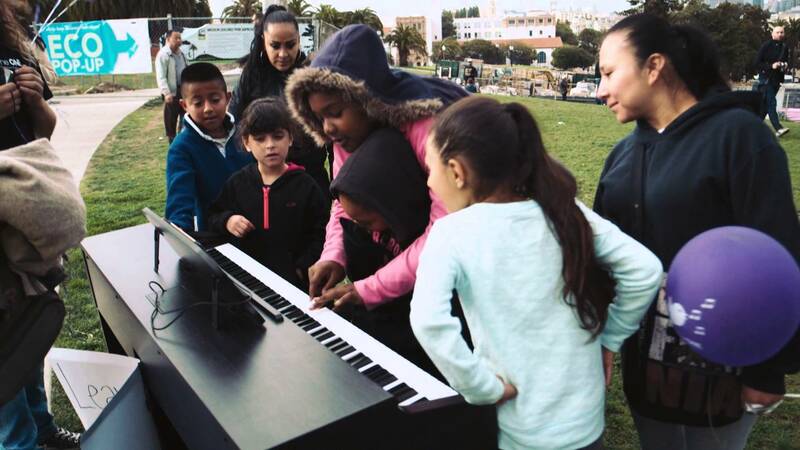 Made by One Musical Group, these are instruments that can connect to your iOS devices and according to them, it will be the world’s first MFi-certified upright piano! Basically the idea is simple – you plug your iOS device, like an iPad, to the instrument. From there users will be able to browse sheet music within the accompanying app and learn how to play those songs right off the bat. There will be LED lights embedded into the instruments to show which keys the player should press and they are good to go. There will also be video lessons to take users through the basics so if you’d rather have a teacher guide you, this feature might be of use to you. The difference between the ONE Smart Piano and the ONE Light Keyboard is the former is designed to look like a regular upright piano with weighted keys. The latter on the other hand has been designed for portability in mind and resembles a musical keyboard and will feature a microphone jack and will be battery-powered for mobility. Its creators are trying to raise funds to make the device a reality on Indiegogo so if you’d like to help out, hit up its Indiegogo page for the details. 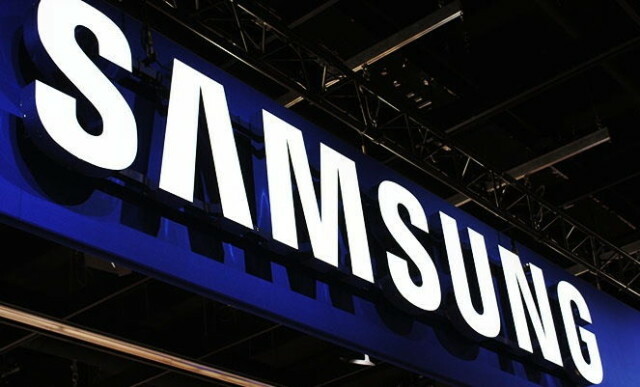 Earlier today, we did hear about how the folks over at LG are working on a new kind of hexagonal battery technology for smartwatches, and this time around, we have received word that Samsung, too, are interested in churning out new batteries for mobile devices. The whole point of these new batteries would be to deliver a far more improved battery life – so much so that Samsung has ambitiously targeted double the amount of today’s capacity, as they want to ensure this dream comes to fruition through the use of new materials as well as new technologies. How will this new battery come into play then? Well, the graphene layers will first need to be anchored onto the silicon surface in order to make room for the volume expansion of silicon through a sliding process between adjacent graphene layers. When it is paired with a commercial lithium cobalt oxide cathode, the silicon carbide-free graphene coating will enable the full cell to achieve volumetric energy densities of 972 and 700 Whl-1 at first and 200th cycle, respectively, which happen to be 1.8 and 1.5 times higher compared to those of current. Commercial lithium-ion batteries. Good luck to them – us consumers would not really mind how it works, as long as it gets the job done! We do wonder whether it can forewarn users though of an impending explosion or meltdown. We’ve already been given a sneak preview of Android M but it’s going to be a few months yet before it’s pushed out to the public or even given an official name. In the meantime, let’s turn our attention to Android 5, also known as Lollipop – the best-looking and most powerful mobile OS yet from Google. 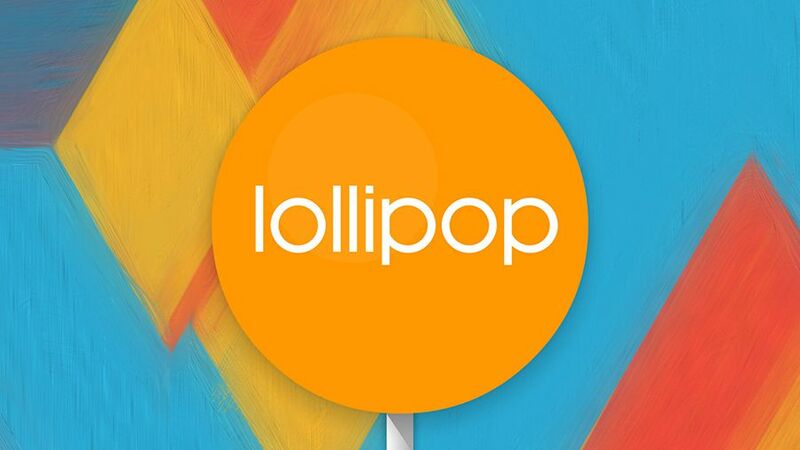 One of the first features you’re going to need when you start up your new Lollipop device is Tap & Go: it uses NFC and Bluetooth technology to move all of your Google account details and device settings over from an older handset. You should get the option to “tap and go” as soon as you boot up Lollipop on a new device and (appropriately enough) it only takes a tap to get started. Wallpaper and widget settings are transferred too. Screen pinning lets you focus on one app in particular and it requires a special key shortcut (Back and Overview) plus your PIN (if enabled) to quit the app. It’s best used to restrict someone else to one app when you lend them your phone. You can activate the feature via the Security menu in Settings. Next, open the app to pin, press the Overview button, then drag your app up into the centre of the screen – you’ll see the button in the lower right-hand corner. If you’re sure you’ve seen a particular option on your device but really can’t remember where, Lollipop makes searching through the system settings just as easy as searching the web. You can look for Wi-Fi networks and Bluetooth devices too. Head into the Settings app and you’ll see a magnifying glass icon in the top right corner that wasn’t present in earlier versions of the mobile OS. Tap on this icon, start typing, and settings results appear in a list underneath. Lollipop gives you much more control over which apps can distract you during the course of the day and which can’t. Head to the Settings app, choose Sound & notification and then App notifications from the subsequent screen. Guest mode can come in really handy if you need to lend your phone to a friend or a young relative… It works like guest mode on a desktop computer, giving someone else access while protecting your own apps and files. For a long time the stock version of Android didn’t have any built-in battery saving features (though the likes of Samsung did add them on top). Google has made up for the omission in Lollipop with a dedicated Battery saver tool. If you don’t want to have to enter your PIN code every time you unlock your phone at home, you don’t have to – Lollipop’s Smart Lock mode enables you to disable lock screen security at certain locations, and you can find it in the Security section of Settings. You might want to set your home and your office as places where you don’t want the hassle of entering your PIN or pattern code, for example; the code will automatically re-enable itself once you leave those locations. Underneath the main selection bar you can choose to keep your virtual Do Not Disturb sign up indefinitely or for a specific period of time. If you’re running Android 5.1, you can choose Until next alarm too (if you have one set). The dinky Chromecast dongle has proved to be a big success for Google, and in both KitKat and Lollipop you can mirror your device’s screen on a Chromecast just in case a particular app doesn’t support the function natively – it’s useful for games, photos and so on. 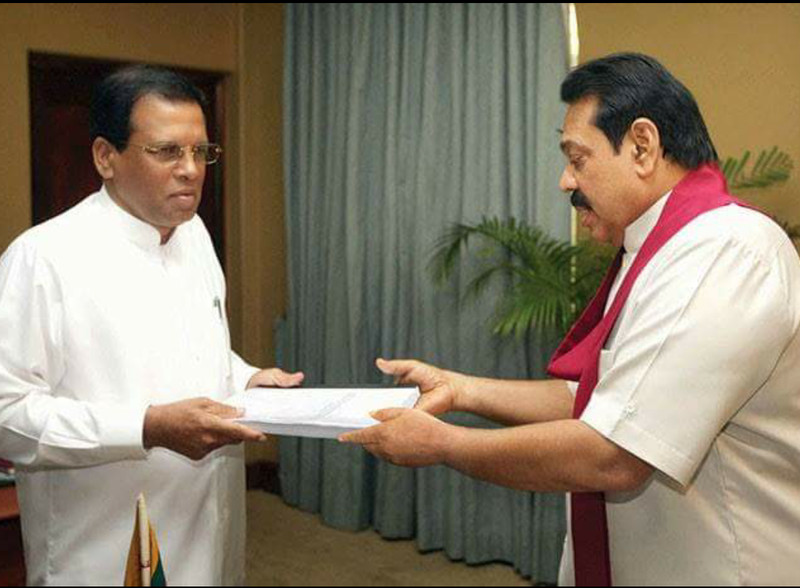 According to the Department of elections, Mr Maithripala Sirisena received 6,217,162 or 51.28% of the vote, and Mr Mahinda Rajapaksa received 5,768,000 or 47.58% of the vote. So, it is incorrect to say “over 6.4 million people gave a mandate to the President. The difference in the vote was in fact 449, 162. It is interesting to note that the vote in the Northern and Eastern provinces, predominantly Tamil in the Northern province and around 65% Tamil and Muslim in the Eastern province , and combined with the Nuwara Eliya district, predominantly Tamils, gave Mr Sirisena 1,240, 716 votes. Even if some discounting is done to account for some Sinhala votes in these areas, it is not rocket science to say Mr Sirisena would not have won without the vote of the Tamils and Muslims in the geographic areas mentioned. It also needs to be noted that except in these areas, and the Kandy, Colombo and Pollonnaruwa districts, and very narrowly in the Gampaha, Puttalam, and Badulla district (which Mr Sirisena won by just 281 votes), Mr Rajapaksa had won by vote percentages ranging from 52% to 63% (in Hambantota). It is clear from these statistics that should a general election be held now, Mr Rajapaksa’s popularity would matter more than Mr Sirisena’s as the latter could not have won without the backing of the UNP, the JVP, the JHU, the democratic party and the minority vote. If one were to deduct the vote Mr Sirisena received in the Northern and Eastern provinces, and the Nuwara Eliya district, his vote would have been 4,976,446 or 40.57% of the total valid votes cast. He would not have been the President today. Judging by the votes that the JVP received in the Western, Southern and Uva provincial council elections in 2014, which ranges from 5.7% to 9.05% (in the Southern provincial council election), and the votes received by Mr Sarath Fonseka’s Democratic party in the Western and Southern provincial council elections (7.97% and 6.27% respectively), it would be safe to say these two parties would have contributed anything from 5 – 10% of the national vote Mr Sirisena received at the Presidential election. If one takes a national average of the UNP vote based on what they received in these provinces in 2014, it would not exceed 27%. That is Mr Wickremasinghe’s legacy to the UNP. This means that the SLFP vote Mr Sirisena received nationally would have been very small and perhaps not more than 2 -5% of the total vote. This leaves a SLFP led by him without support from Mr Rajapaksa in a very vulnerable position, as the winners at a general election would be all other parties except the SLFP. On the contrary, should Mahinda Rajapksa lead the SLFP or actively support the SLFP at the next general election he could lead it to victory as the largest single party in Parliament with a very strong possibility, based on the Presidential election voting pattern, of securing a simple majority, and being able to form a government on its own. 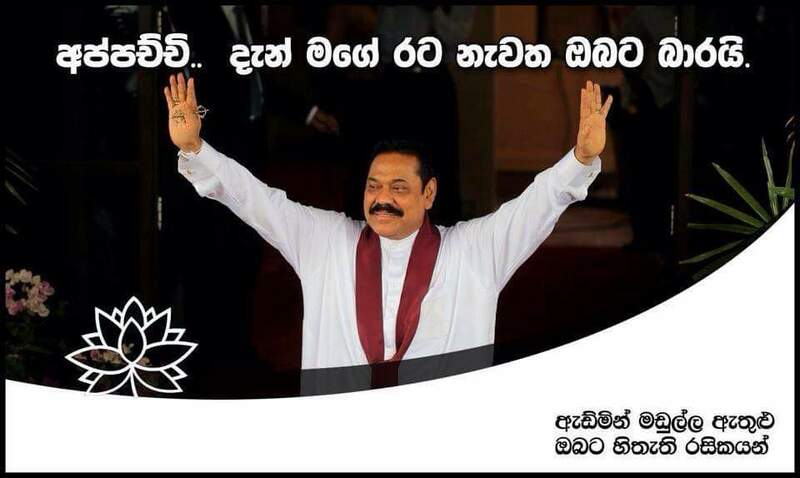 Which ever way you see it, Mahinda Rajapaksa is the king maker. The world’s most popular social networking site, Facebook has announced that the users will not have to have facebook account to use its messaging app. This might come as a competetion for the most popular messaging app WhatsApp which is apparently owned by Facebook itself and both the apps have similar features. The apps allow users to send text messages, voice messages, pictures to other users of the app for free. 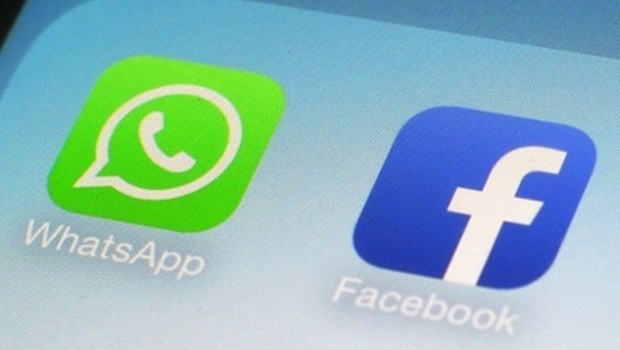 Recently WhatsApp came up with a voice calling feature which was available in the Facebook messaging app already. This new messenger is already available in the US and Canada and is expected to arrive in India soon. Google’s smart contact lens – which is designed to measure glucose levels in people with diabetes – could be here sooner than we expected. While it aimed for a 2019 release, a new patent application for packaging designs suggests that the tech giant might show it off much sooner. Despite Google Glass not going to plan, it appears the internet giant is preparing to bring another type of wearable tech to market, this time it’s a glucose-measuring smart contact lens. At the time, Google said it hoped to launch the smart contact lens in five years, but just over a year later and a patent application has surfaced with various packaging designs for the device. This would suggest that the project is way further along than we thought, and much closer to going on sale. Google has also apparently been in talks with the US Food and Drug Administration about possibly testing the lens. It’s also already been awarded 44 patents, and is waiting on a further 53 involving the project. While it could still be a while off, the evidence here suggests otherwise. Maybe this is one Google X project that will see the light of day – and possibly sooner than we thought. Meanwhile, the Google X division is also developing a health-tracking wearable that allows medical professionals to measure a patient’s pulse, heart rhythm, and skin temperature. No, your eyes don’t deceive you. Toyota has created a custom-made Sienna minivan that sits on top of a lifted Tacoma truck chassis. OK, Toyota, now you can call it a Swagger Wagon if you really want. Fittingly, the off-road Sienna will be shown at the Specialty Equipment Market Association (SEMA) show in November. 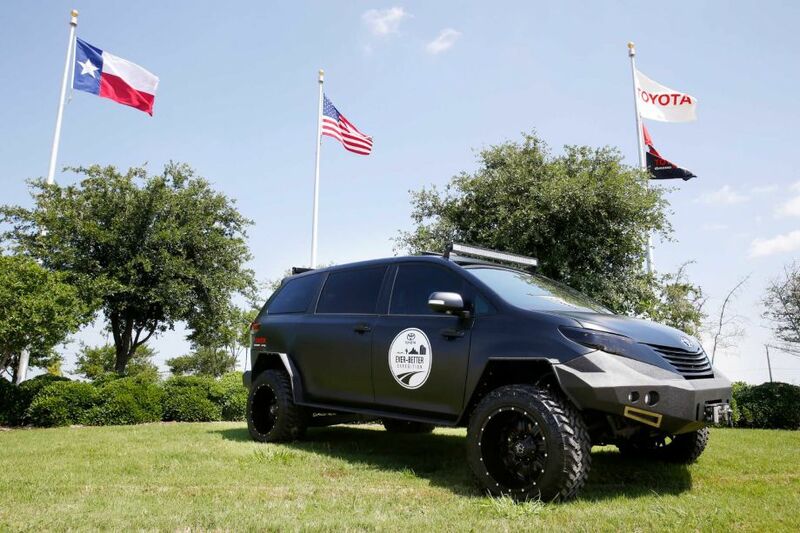 But it will also play a major role in Toyota’s Ever-Better Expedition, a project that takes vehicles through challenging, real-world environments. The goal is to improve the product development process and help the company better understand the needs of North American customers. The UK’s Glastonbury Festival is taking place this weekend, and among performers like Kanye West, Pharrell, and Florence and the Machine, there was another big name: the Dalai Lama. 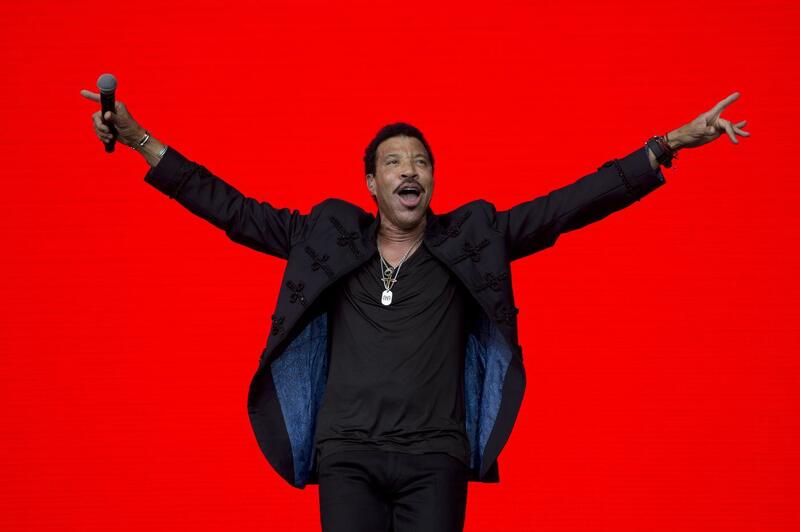 The 79-year-old Tenzin Gyatso appeared briefly on stage today before Lionel Richie’s set to talk about happiness, peace, and the Middle East, according to the BBC. 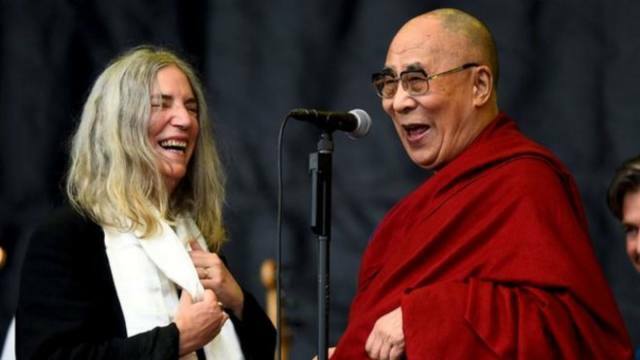 Then, because that wasn’t an odd enough mix of things happening all at once, Patti Smith came out on stage and presented the spiritual leader with a birthday cake, prompting the audience to sing “Happy Birthday.” (The Dalai Lama’s 80th birthday is on July 6th). This was apparently a surprise visit — Glastonbury’s organizers just announced it this morning — so my guess is the Dalai Lama really just wanted to see Belle and Sebastian live. NEW YORK: In a major breakthrough that can make the internet superfast and cheap, researchers have successfully increased the maximum power — and therefore distance — at which optical signals can be sent through optical fibres. 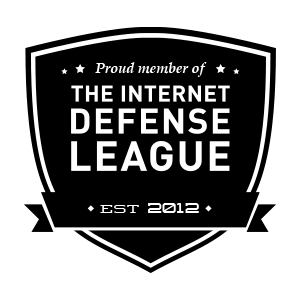 The advance has the potential to make the internet superfast by increasing data transmission rates for the fibre optic cables — which serve as the backbone of the internet, cable, wireless and landline networks. A long-standing roadblock to increasing data transmission rates in optical fibre has been that beyond a threshold power level, additional power surge irreparably distorts the information travelling in the fibre optic cable. 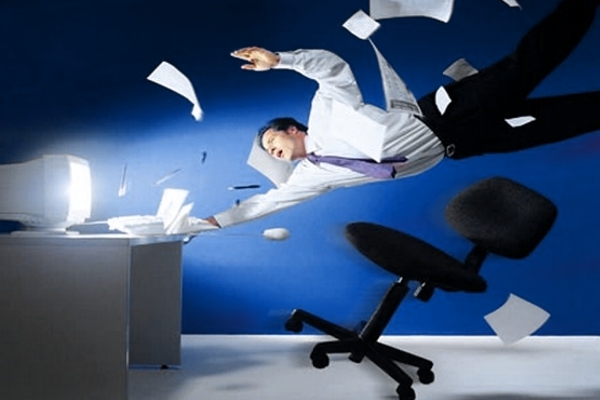 “Today’s fibre optic systems are a little like quicksand. With fibre optics, after a certain point, the more power you add to the signal, the more distortion you get, in effect preventing a longer reach,” said corresponding author Nikola Alic from the Qualcomm Institute at University of California – San Diego. “Our approach removes this power limit, which in turn extends how far signals can travel in optical fibre without needing a repeater,” Alic said. In lab experiments, the researchers successfully deciphered information after it travelled a record-breaking 12,000 km through fibre optic cables with standard amplifiers and no repeaters, which are electronic regenerators. The new findings effectively eliminate the need for electronic regenerators placed periodically along the fibre link. The breakthrough in this study relies on wideband “frequency combs” that the researchers developed. The frequency comb ensures that the signal distortions called “Crosstalks” that arises between bundled streams of information travelling long distances through the optical fibre are predictable, and therefore, reversible at the receiving end of the fibre. “We have presented a method for leveraging the crosstalk to remove the power barrier for optical fibre,” the authors said.